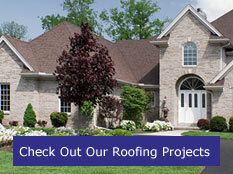 Reyes Roofing Contractors, LLC offers roof replacement, and repair. The company also offers siding, windows, skylights, seamless gutters replacement, and much more. Reyes Roofing Contractors, LLC labor warranty is guaranteed up to 10 years. Reyes Roofing Contractors, LLC is a member of the National Roofing Contractors Association and the Virginia Association of Roofing Professionals. Reyes Roofing Contractors, LLC is certified as a CertainTeed SELECT Shingle Master, CertainTeed Silver Star Contractor, and Velux Five-Star Skylight Installer. All of Reyes Roofing Contractors, LLC employees are uniformed, drive marked vehicles, and are CertainTeed Certified Master Shingle Applicators.